Pazham Sarbath is a popular beverage of my native place. On summer in all roadside shops start selling this tasty thirst quencher. It is simple to make and a yummy drink. I have not tried this drink from outside as all say that in shops they use bananas which are starts to spoil. So i make this drink at my home and relish my taste buds. Perfect taste from the bananas, nannari sharbatha and the mild sourness from the lemon. 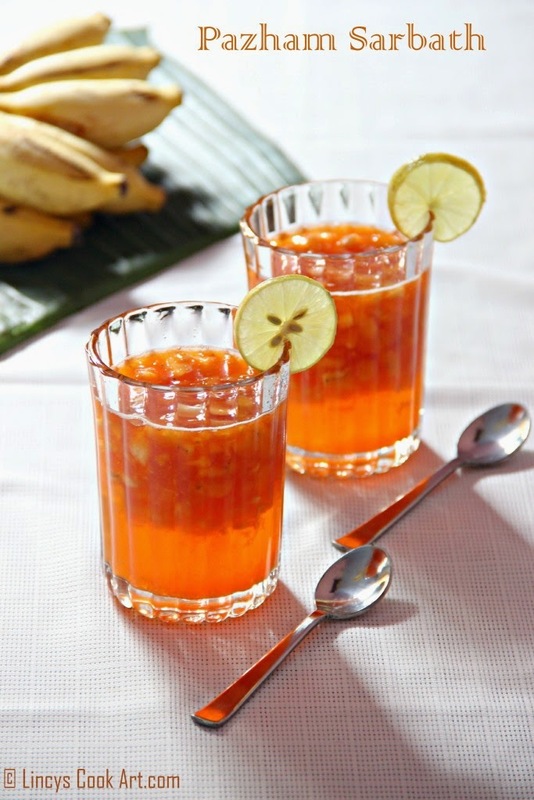 You could prepare this drink using home made nannari syrup or using store bought ones. There are many versions of this sharbath available in our place. Other versions ranging from simple lemon sharbath, ice apple (Nungu), tender coconut etc..
Peel the banana and keep inside a bowl. Mash them using a fork or back side of ladle. Squeeze the lemon juice(remove seeds or use lemon squeezer) and mix well. 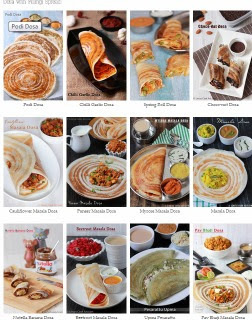 Note: Add nannari syrup more if you need more sweetness in sharbath. Add more lemon juice if you donot feel the mild sourness from lemon. very refreshing & interesting drink...............pass me one glass. wow nice drink would be so refreshing! Have never tasted it but looks too good.. Lovely color of this refreshing drink.. Very refreshing sarbath, i want to get a glass rite now.